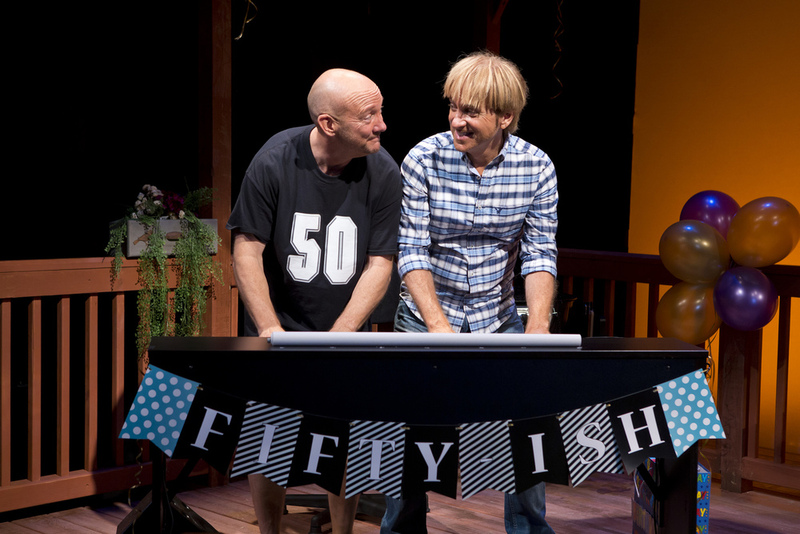 IT'S A SURPRISE PARTY AND YOU'RE INVITED – to Happy 50ish, the musical comedy that proves you haven’t lived until you’ve hit middle-age. Meet baby boomer Bob – he’s facing the big five-oh with fear, beer, and a letter from the AARP. Though his mid-life crisis is killing him, he’s finding laughter is the best medicine…next to that little blue pill! LYNN SHORE (Creator/Book, Music and Lyrics/Bob) regional credits include, The Wizard of Oz (Garden Grove Civic), Godspell (Starlight Bowl in San Diego), The Sound of Music (Starlight Bowl in San Diego) and the West Coast Premiere of Babe's in Toyland (San Diego's Fox Theater). Lynn's television career started when he was on and off General Hospital in the late 80's. Lynn's voice can be heard on numerous commercials for Ford, Disney, The Biltmore Hotels, and others. He also voiced seven characters for Sony's animated series, Gun Parade March & Demon Lord Dante and sang three solo tracks on the 2012 Grammy nominated children's album titled "ABC Mouse: The Alphabet Songs." Lynn Shore is the recipient of the 2013 Jason Robert Brown worldwide vocal contest and performed at 54 Below with him. OWEN JOHNSTON II (Mike) was last seen on Broadway in Allegiance The Musical. 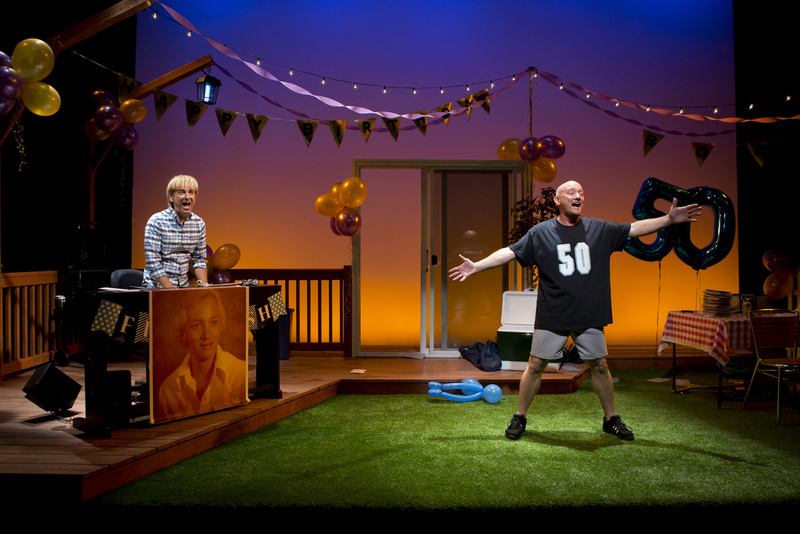 Other credits include the Broadway productions of Rent, Shôgun the Musical as well as the national tours of Rent, The King & I, Miss Saigon and 42nd Street. Owen received a Masters in Theater from Hunter College in New York and is the owner of the Roosevelt Island chapter of Music Together - a program that teaches babies and young children the love of music and singing. MARK VOGEL (Book, Music and Lyrics/ Musical Director/Mike) is a BMI winning television and film composer, and a performer, music director and producer. He started his network television career on “Full House” as a member of Jesse and the Rippers, starring John Stamos. He and Mr. Stamos also wrote original music for the hit series. Other network shows include “Two Guys, a Girl and a Pizza Place” (ABC) and “Delta” (ABC). Mark’s six feature films are highlighted by Raising Helen for Disney. Stage performances include concerts with The Beach Boys, Natalie Cole, Queen Latifah, Joan Rivers, and David Burnham. Mark has performed for 3 U.S. Presidents and has produced more than 500 songs. 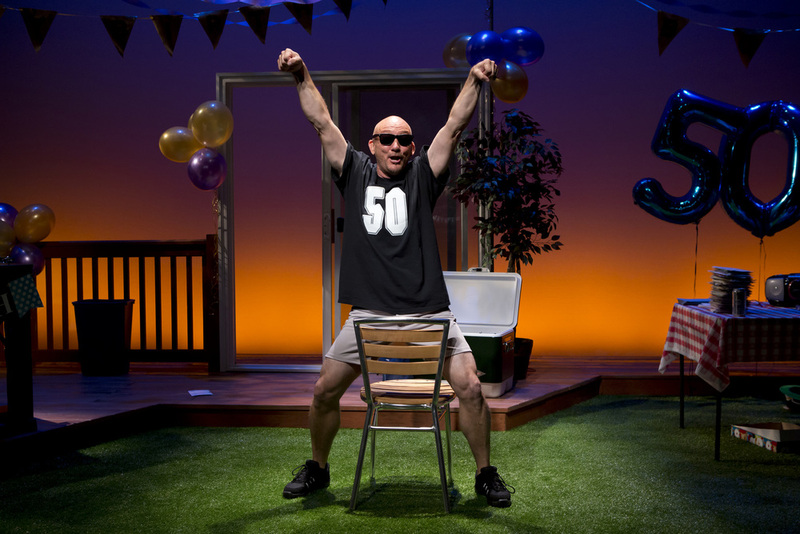 He is thrilled to be making his New York debut in Happy 50ish! DAVID BURNHAM (Book, Music, Lyrics and additional staging) is a composer, director, choreographer and award-winning performer. He has recorded two solo CDs, which include original music that he co-wrote with Mark Vogel. He and Vogel co-founded “Camp Sing,” a writing and performing camp for young artists. As a performer, David has appeared on Broadway in The Light In The Piazza and Wicked and worked on the award-winning musicals, Lovelace A Rock Opera and One Red Flower - Letters from 'Nam and the play, The Woman In Black. He has performed on many national tours and performed his solo concert across U.S. and Canada. David is proud to be working on this show with two of his best buddies. RICHARD S. ROSE (Mike) has performed on stage as Ben Hecht in “Moonlight and Magnolias”, Maish Resnick, in “Requiem for a Heavyweight”; Felix Ungar, in Neil Simon’s “The Odd Couple”, and Herb Tucker in Simon’s, “I Ought to Be In Pictures”; on film he’s appeared in the lead role of Jake in “I Love You For Awhile”, and Hilly, in “The Great Pretender”. In addition to his performing credits, Richard is a New York Foundation for the Arts Playwriting Fellowship recipient, holds an M.A. in music composition from Hunter College, and is the author of the musical “Stand Clear of the Closing Doors”. He also moonlights as singer/writer Rick Holdin, and you can check out his recordings at rickholdin.com.